Looking back on 2015, there's no denying that Jurassic World was one of the summer's biggest blockbusters. For this reason, it's unsurprising the movie nabbed a few MTV Movie Awards nominations, including a Best Male Performance nod for the film's lead star. 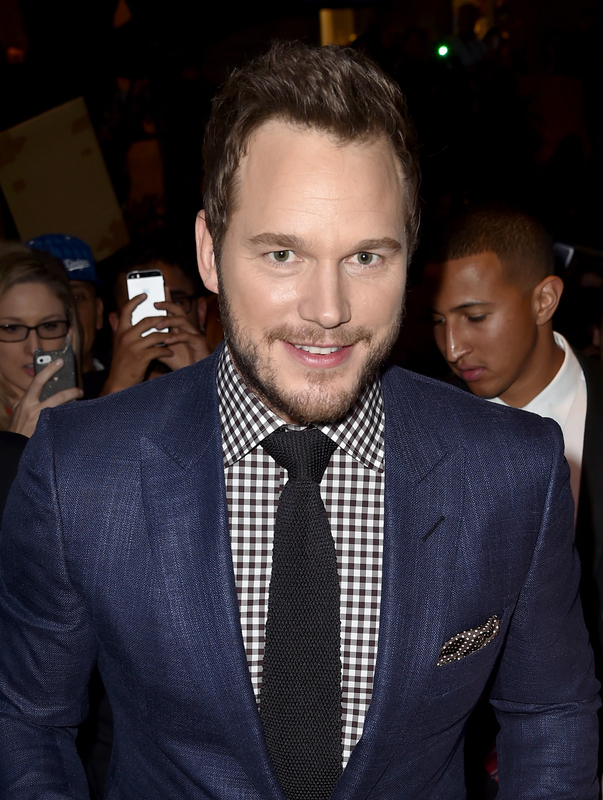 The show airs on Sunday and fans must be wondering: Is Chris Pratt attending the MTV Movie Awards? Well, here's hoping that he doesn't have a repeat of last year. On Sunday I'm joining former Navy SEAL Mike Day as he participates in a grueling half ironman to raise money and awareness for our nations brain injured heroes... The Ironman 70.3 or "Half Ironman" is an endurance race of swimming, biking and running. It's going to be a major challenge and I've trained long and hard for it. ... I hope to help raise awareness and money for a great cause and true hero. Since the 36-year-old also wrote, "Sadly I will be missing the show," I'm thinking it was a tough decision for him to bail out. This makes me believe that he will do everything in his power to attend the 2016 MTV Movie Awards. Because really, he can't deprive fans two years in a row, can he? There's another reason I think he wouldn't miss it: his buddy Chris Evans is sharing a never-before-scene clip of Captain America: Civil War at the show, according to MTV. Considering Pratt and Evans are good friends IRL, I'd like to think that these two guys named Chris will cheer one another on at the event. They really do have an awesome bromance. Those two reasons — missing out last year and supporting Evans — are enough to entice him to attend, but here's the ultimate motivation: Pratt and wife Anna Faris are the absolute cutest on the red carpet. They wouldn't miss out on the opportunity to show everyone how adorable they can be. Or at least, I sure hope not. So, fingers crossed that Pratt attends the show and doesn't disappoint like last year. Unless, of course, he decides to save the world and participate in another event for charity. In which case, it's totally forgivable.